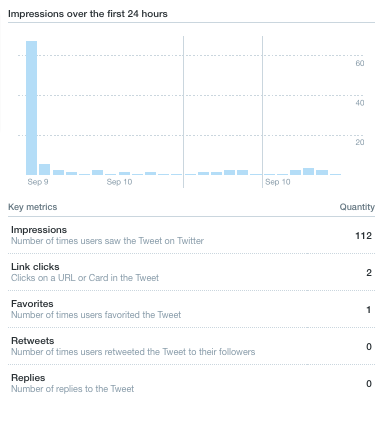 Launched earlier this summer the new Twitter Analytics Dashboard has opened up real time Tweet measurement. Finally. 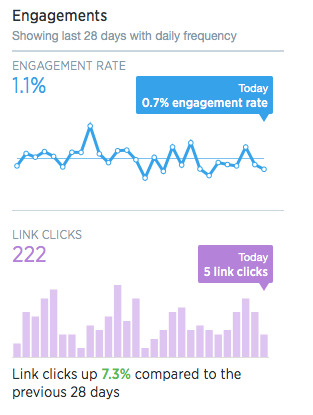 Up until now your tweet’s impact was measured largely by how many retweets and favourites it received – while this will still be visible, the new Twitter Analytics dashboard will offer deeper insight into reach, engagement and your audience. Even better, you don’t have to be a paying advertiser to take advantage as Twitter has rolled out functionality to all users! It’s an important move, by allowing users to access real impression data Twitter is finally giving brands a chance to understand performance and set relevant benchmarks – forget relying on general best practice, now brands can set targets against their own performance. For marketers it’s an exciting new chance to unlock a wealth of knowledge. Here’s how to make the most of it in 5 easy steps. 1. Sign up for the Twitter Ads platform – you’ll have to enter credit card details but you’ll only be charged if you set up a campaign – this is simply how to gain access to analytics. 2. 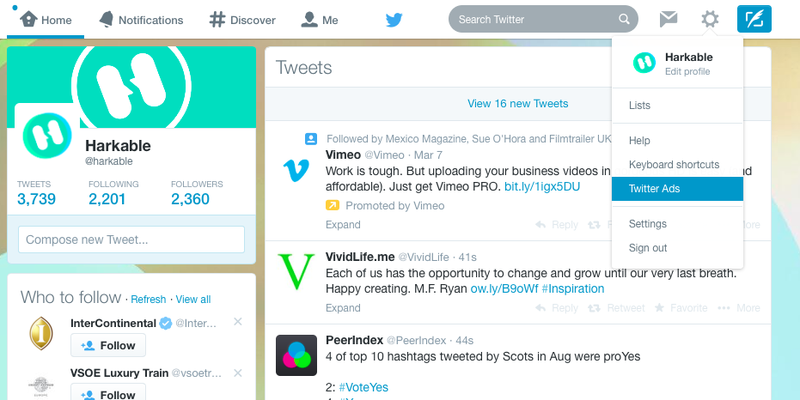 Access the dashboard by clicking Analytics and then Tweet Activity in the top navigation bar. 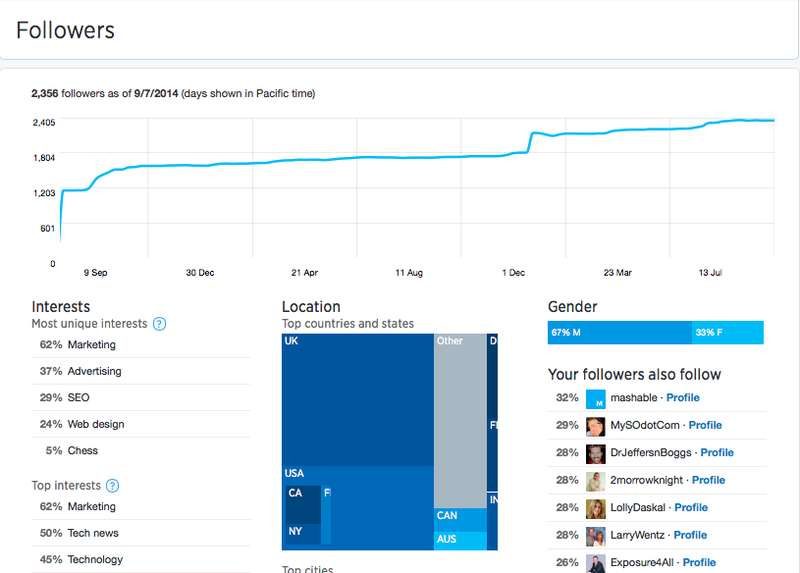 Here you’ll find real-time data about your Tweet’s performance and the ability to measure this month on month. Media – do photos, videos, or gifs engage your following? How many photos are actually being opened, how many clicks do links really drive? Times of Tweets– what time and what day are your best performing Tweets? Calls to action – experiment with several, which ones drive the most actions? Tone of voice and creative – what content does your community respond to more? 3. Get to know your audience. The dashboard lets you dig deeper into who your audience really are – and more importantly what they’re engaging with. 4. Create your own benchmarks – forget what the rest of your category is doing for just one minute and understand what makes your community share and engage. Ongoing analysis will let you find out how to improve your over all reach by analysing the content you’re posting – if you see that click rates increase substantially after posting pictures of celebs in your brand for example, use that to create further content streams. 5. Use the right hashtags. The dashboard lets you track how many times a hashtag has been used to give you an idea of what’s really working with your audience – hint: clicking on an individual tweet will bring up all actions. Hashtag engagements will be classed as clicks. Finally, don’t forget that all Tweet activity can also be exported for up to 3,200 Tweets with a full breakdown of impressions and engagement, it really has never been easier to take a deeper analysis of your Twitter history.